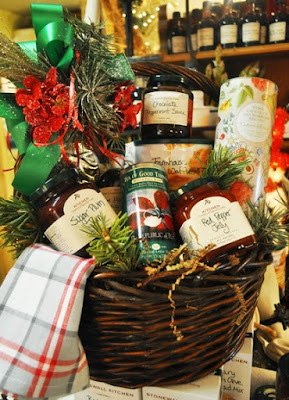 Our little kitchen is stocked for the season ahead let us help you with a warm and personal gift filled with pancake & waffle mix, raspberry syrup, red pepper and hot peach jelly, sugar plum jelly, chocolate peppermint sauce, and our freshly ground coffee. There is so much more to choose from...we also have our peppermint and white belgium hot chocolate mixes for stocking stuffers and sweet simple gifts. As always you will leave with a beautifully wrapped gift it's that easy! Don't stress this season we will take care of you!